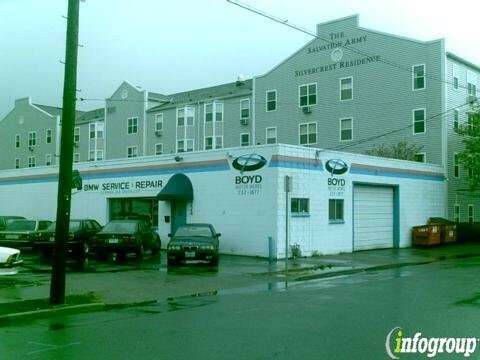 Boyds Motor Werks is a BMW Auto Repair shop in Portland, Oregon. For nearly 30 years, Kuimars Raiatchi - Master German Technician, has been providing BMW repair services that will have your BMW automobile at it's optimum performance level in no time. Our ASE certified mechanics perform everything from BMW tune-ups, brake service, electrical repair, transmission and engine repair, to name a few. We always provide superior BMW repair at affordable prices that are much more reasonable than BMW dealerships. We also offer per-purchase inspections, to make sure that you are getting the car that you deserve! We are conveniently located close to downtown Portland, just south of Lloyd Center and and Buckman Field!